Pick any 12 of these sunshine-ready, lighter-bodied wines for £200. 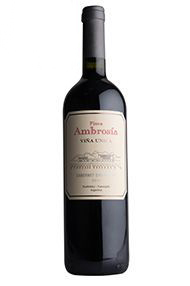 Ambrosia’s 2014 Viña Unica Cabernet Sauvignon is a wine to sink in to. Ripe blackcurrant fruit oozes from the glass and is perfectly supported with fine yet pertinent tannins. There is an undeniable richness to the fruit, however a fine seam of crystalline acidity keeps all in check. The long finish would suggest that while Mendoza is best known for its Malbec, this Cabernet Sauvignon is well worth the detour; it is delicious.